The company has thus kicked off a new testing stage of the feature as part of the Skype Insider program, and users can register to try it out here. According to Microsoft’s own brief announcement, this new functionality would be offered on both Android and iOS. 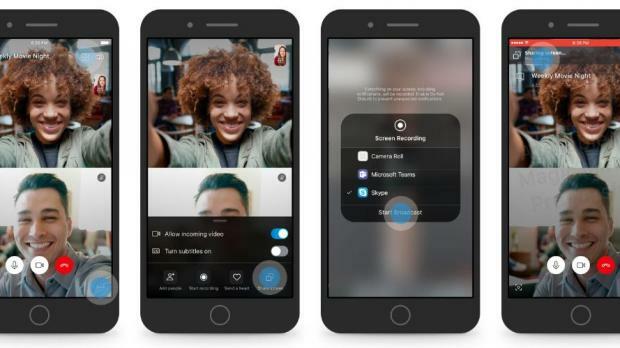 Skype would come with a new button to share the screen, with simple options being offered, including permissions for the incoming video and subtitles. The feature uses screen recording, and you need to give your permission before beginning the broadcast. When your screen is shared, you should see a notification at the top of the screen that lets you stop the broadcast at any moment. “Your device is no longer a limitation on getting more done with Skype. With the latest Insider build, you can now share your screen on your Android or iOS device during a call. Simply tap on ... and select Share Screen to get started,” Microsoft explains.Feature in early development for nowIn case you’re wondering why anyone would need such a feature on Skype, this comes in handy for a wide variety of purposes, and Microsoft highlights just a few of them. “Want to show your coworkers a PowerPoint presentation? Or share your swipes on dating apps? Or maybe do some online shopping with your bestie? Starting today, Skype has you covered,” the company says. The feature is still in its early testing stage, so it could take a while until it makes its way to the production version of Skype. Users can try it out by downloading the latest Skype builds as part of the insider program on their Android devices and iPhones.